How to Add Sand to Paint for Texture. Originally, sand was added to paint to texture ceilings and hide imperfections in the drywall. Today, textured paint is used on walls and ceilings to give a unique look to the room. You can purchase textured paint that already has sand mixed in, but it is more expensive. A more economical alternative is to add sand to the paint yourself, before beginning your painting. Purchase latex paint in the color of your choice if you want to texture your walls or ceilings. The level of gloss to the paint does not matter. The sand mixes well with any gloss level. 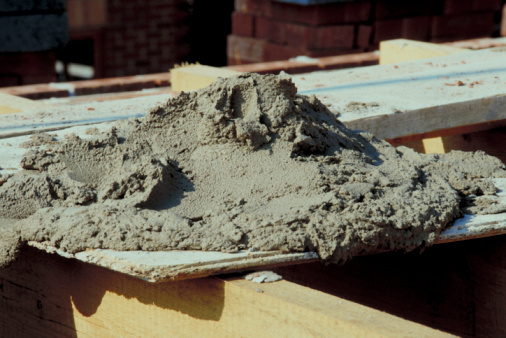 Buy silica sand which is sold specifically for mixing with paint. Do not try to texture your paint using regular beach sand. Beach sand often has dirt, rocks and small pieces of broken shell in it. It does not mix well with paint. Silica sand is sold at most hardware stores. Experiment with the amount of texture you want. Take a small amount of paint and mix some sand in. Paint a small section of the wall or ceiling and wait for it to dry. If you are happy with the amount of texture, use the same ratio for mixing the rest of the paint and sand. If you want more texture, add more sand. For less texture, use less sand. Mix the sand into the paint well, using a paint stirrer or a ruler. The sand has a tendency to settle on the bottom, so you need to periodically stir it back up as you are using it. Apply the textured paint to the wall or ceiling use a low pile or sponge roller. To create a more uniformed finish, wait for the first coat to dry and then apply a second coat. What Can You Add to Paint to Make Textured Walls?